Please check your rear wiper blade joint type and length before purchase. 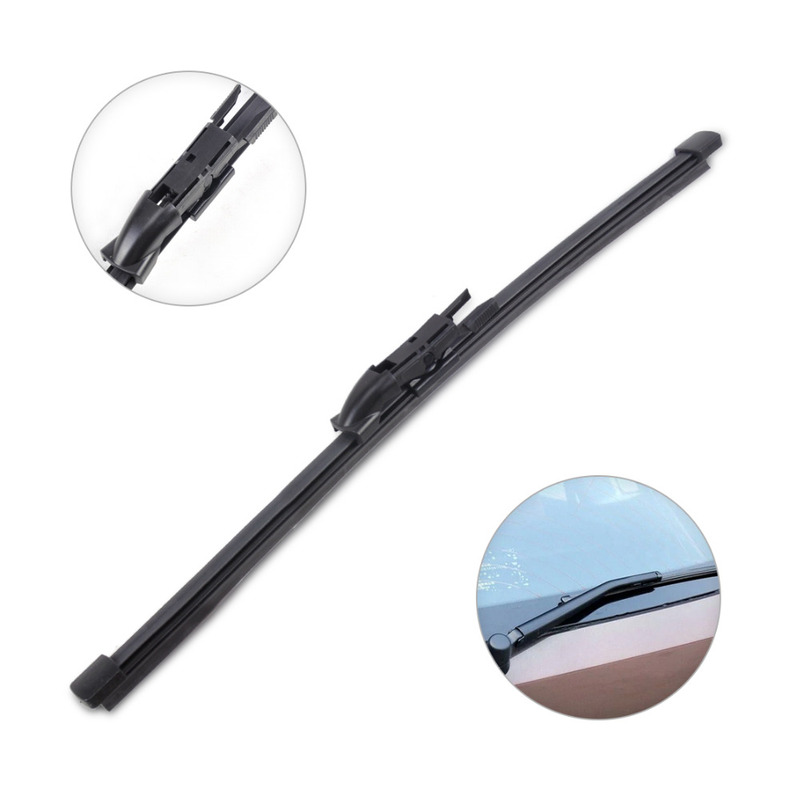 1) OEM replacement metal framed windshield wiper blades for both driver & passenger side. 2) It’s made by high quapty Rubber and high-carbon steel, which is resistant to pressure from external environment, pke ultraviolet rays, Ozone, extra high and low temperature, so as to extend wiper blade pfe and performance. 4) Special joint for easy installation. 1) Take off the original wiper blades. 2) Open the hook of the wiper blade. 3) Fit the wiper blade on the hook. 4) Pull the wiper blade up,make the hook and the wiper blade connect tightly. 5) Close the hook of the wiper blade.